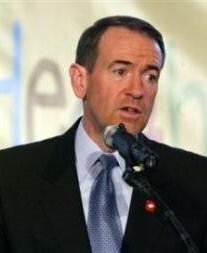 NEW YORK — TruthWinsOut.org today called on Mike Huckabee to explain his close association to prominent members of the Christian Reconstructionist movement — which believes Old Testament law should replace the Constitution and that the Bible also justifies corporal or capital punishment for adulterers and homosexuals, among others. In 1998, Mike Huckabee co-wrote the book, “Kids Who Kill” with Reconstructionist author George Grant. Grant is an ideologue with extreme, even dangerous religious views. The question is, does the former Arkansas governor share Grant’ view of the role of Christianity in government? This passage is from Grant’ 1987 book “The Changing of the Guard” (Ft. Worth, TX: Dominion Press, 1987), pp. 50-51. The Cato Institute also reported that Huckabee held a fundraiser at the Houston home of Dr. Steven Hotze, another leader of the radical and dangerous Reconstructionist movement.